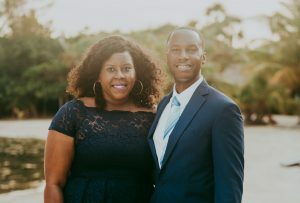 J. Nathan Bland and Brittney Bland Thomas, a brother-sister duo (Army brats) from Louisiana, started working on this business idea part-time in 2016. Being raised primarily in Leesville, LA (central Louisiana…near Ft. Polk), but spending most of their summers and holidays with family in Lafayette, LA (southwest Louisiana), they both knew what it was like to enjoy good Creole and Cajun foods when they were down south in “Cajun Country,” and then not have access to those same foods when back in central Louisiana. As they grew older and left Louisiana, that feeling became even more acute as Nathan’s job often has him living overseas, and Brittney moved out of state. Realizing how difficult it is to get certain products/ingredients when far from Louisiana, they decided to give this a shot and make it a little easier for those who miss the food. So, for all of the Louisiana expats out there…we’ve got you covered. No need to wait till your next trip home (or until someone comes to visit you from home). All of the seasonings, mixes, sauces, meats, and more that you crave are right here.